Earlier, Baahubabi gained a lot of applause and for Baahubali 2 sky is the limit. The movie has become highest grosser and bagged over Rs 1,625 crore at the global box office. However, the cast of bahubali has gathered a lot of appreciation, but the man who stole the show is Prabhas. Prabhas character as Baahubali is much appreciated in the movie and he has won the heart of many girls. 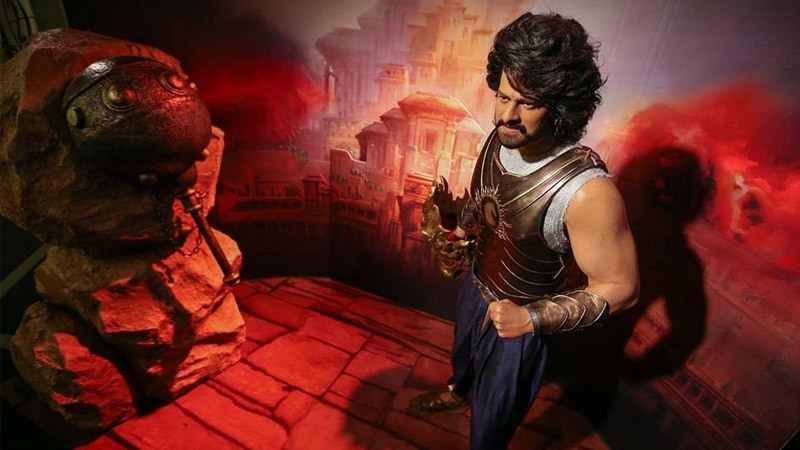 To celebrate his stardom in such a short period world’s renowned Madame Tussauds has installed his look from Baahubali at the museum at Bangkok.He has become the first South Indian actor to get a wax statue at Madame Tussauds.